Admit it or not, we are suckers for romance! In our disposable society today, where instant gratification rules, the idea of everlasting love both intrigues and inspires us. The diamonds and jewels that go with the promise of everlasting love are symbols of our desire that the relationships we are in will last forever. As Erma Bombeck once said, “For years, my wedding ring has done its job. It has led me not into temptation. It has reminded my husband numerous times at parties that it’s time to go home. It has been a source of relief to a dinner companion. It has been a status symbol in the maternity ward.” We don’t doubt Bombeck’s tongue-in-cheek humour when she made this statement, but we all know there is a large amount of emotion linked to the jewels we wear. They represent the tangible evidence of our commitment. Even when things go bad and marriages flounder, so too, the eternity ring may lose its shine. However, it is those very same jewels that remind us of good times and bad. As Zsa Zsa Gabor once alleged, “I never hated a man enough to give him his diamonds back.” Apparently, she didn’t even return the wedding band! The wedding band’s history can be traced back to ancient Egypt where plants were bent into circles to signify eternal love. 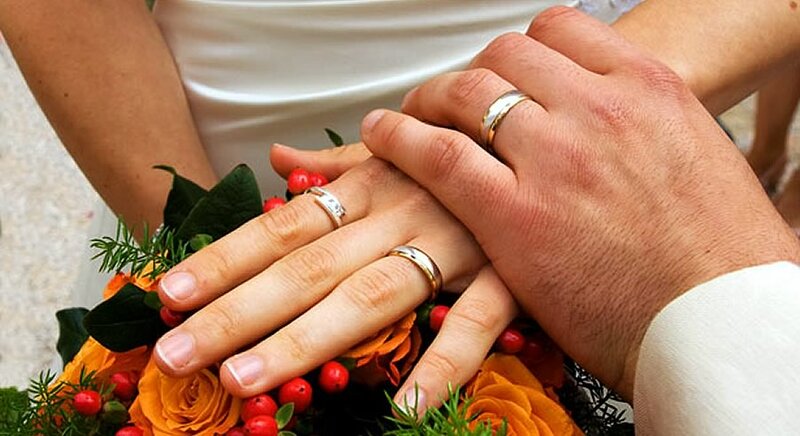 The story goes that the ring finger is directly connected to the heart by a single vein and so it became the natural selection as the ‘wedding finger’. History tells us that the engagement ring first emerged around 1215, when Pope Innocent lll declared a longer waiting period between betrothal and marriage, and plain rings of gold, silver or iron were used to signify this waiting period. Later, gems were introduced to engagement rings, becoming important symbols of the aristocratic classes. Over time, diamonds and other gems became accessible to the middle class. However, the diamond engagement ring did not become the norm, until De Beers launched their ‘diamonds are forever’ campaign in 1947, under then director, Harry Oppenheimer. The highly successful campaign resulted in Joe Ordinary being pressured into buying some serious “bling” for his wife-to-be. Over the past century, while buying the perfect diamond has become more of an emotional investment, rather than a financial investment, there are very few purchases that will retain as much of their value over time as diamonds. However, the investment value of this type of jewellery should not be found in its monetary value, but should rather be found in the intangible. The real investment is personal and eventually becomes an heirloom, and therefore, everlasting. And herein lies the true investment value of diamond jewellery, in the people and the intangibility of relationships – and the hope that they will last forever.